Mouthwash products of a wide variety are there to choose from, ranging from anti-plaque to anti-gingivitis and alcohol-free. All these products promise to safeguard your gums and teeth and refresh your breath. But how do you separate the winning choices from the not-so-perfect options? 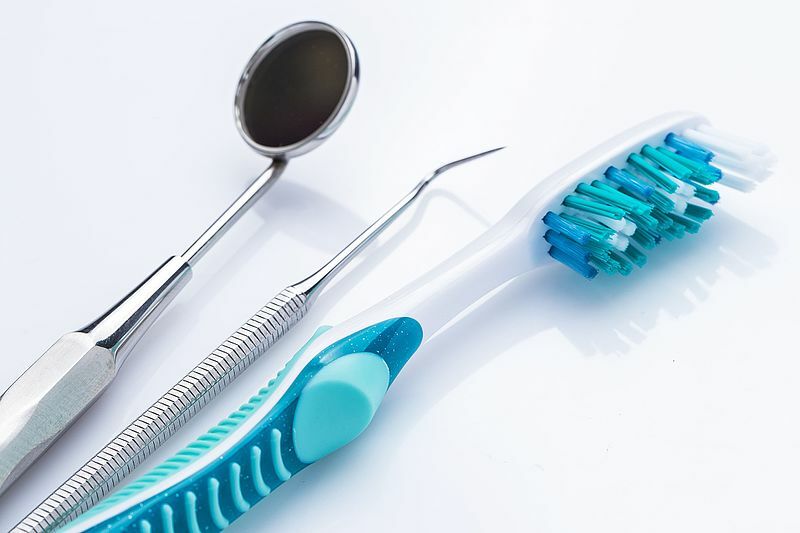 Also, is brushing and flossing enough or does a mouthwash necessarily the requirement to protect your dental gums and teeth from bacteria and decay? Read on to know why and how the different types of mouthwash can help you and which ones are the best. Three major categories of mouthwash products include fluoride, anti-gingivitis, and anti-plaque. Cosmetic mouthwash products are also there. While some are OTC, others need a doctor’s prescription. Fluoride assists in combating tooth decay by strengthening the enamel of the teeth. This is the white, bone-like substance that covers the teeth. While a fluoride-rich toothpaste can work wonders, those with xerostomia may opt for this mouthwash. Others suffering from dental caries or cavities can also choose this mouthwash. You need this mouthwash if the dryness of the mouth leads to change in the percentage or balance of bacteria in your mouth. Excessive bad bacteria can foster tooth decay as well. This is why fluoride-rich mouthwash can help. Even if you are using fluoridated toothpaste, supplement it with this mouthwash for even better results. Mouthwash keeps the breath fresh and smells awesome. For combating conditions like gingivitis and gum disease, mouthwash is a must. If you are prone to cavities, fluoride creates a protective layer over the teeth protecting it from the buildup. It also boosts the enamel and ensures good dental welfare, helping to keep your teeth fit for the entire duration of your life. Alcohol rich mouthwash works as an antiseptic. It clears and eliminates germs and viruses in the mouth, But if you suffer from a dry mouth, this type of mouthwash is not recommended as it can increase the problem. Free the mouth from the drying impact of alcohol by using non-alcohol mouthwash products. Children should never be given alcohol-based mouthwash, as this can lead to toxic side effects. Avoid swallowing mouthwash containing alcohol as this can lead to complications. These mouthwashes are rich in chemicals to fight to build up of bacteria, gum disease, and other infections. Several mouthwash products contain trace amounts of anti-bacterial elements. Some are made specifically to stave off infections. These types of mouthwash are preventative rather than curative in nature. These clear the mouth of bad breath or halitosis. Some even destroy bacteria. This bacteria-killing property of cosmetic mouthwashes is very limited. Fresh and good breath is one thing and improving your oral health quite another. This is an excellent addition to brushing and flossing. It is the key aspect of good dental health by boosting dental care and killing bacteria. These mouthwash kill a different type of bacteria as opposed to cosmetic rinses. Eliminate the dental organisms that cause bad breath and disease using this mouthwash. For fighting advanced plaque or gingivitis, prescription-based mouthwashes are also available. 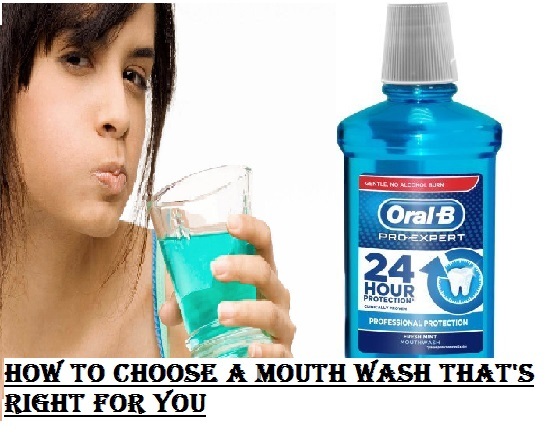 Mouthwash serves multiple purposes, whether it is to make your breath smell good or fight plaque and gingivitis. Don’t miss out on dental floss either. Pick a mouthwash that has been certified by the dental association. While choosing the mouthwash, consult a specialist to see which type will suit you best. While picking a mouthwash from the different varieties, choose one that meets all your needs and sorts out your current oral health problems. Choose the right mouthwash depending on whether you suffer from xerostomia, halitosis, gingivitis or teeth or gum sensitivity. Halitosis can range from mild to severe and have a serious impact on your oral health and self-esteem. Most people suffering from temporary bad breath may opt for cosmetic mouth rinses used for disguising bad breath. But remember that these do not address the true cause of bad breath. Cosmetic mouthwash works wonders for temporary halitosis only. If you have permanent bad breath, this could be the result of underlying oral problems such as bacteria or gum disease. Using an antibacterial or anti-plaque mouthwash may be more viable in such cases. If you have dry mouth syndrome known as xerostomia, the alcohol-rich mouthwash is not a good idea. What is the reason for that? Alcohol dries out the mouth and causes more symptoms raising your levels of discomfort. Use alcohol-free mouthwash for the best results. 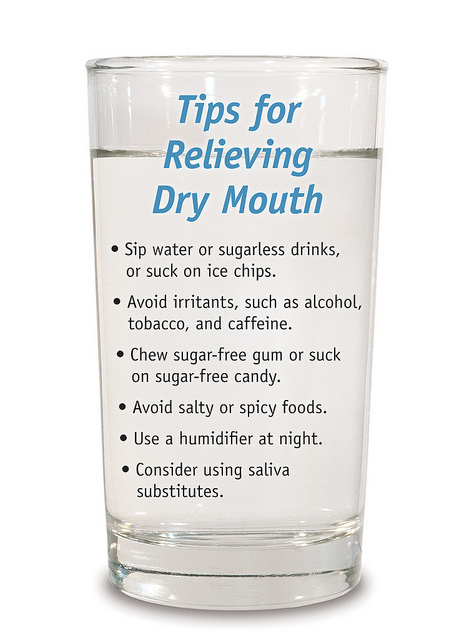 If your dry mouth syndrome is excessive, choose special mouthwashes for the condition which generate artificial saliva. From gingivitis to other types of gum disease, mouthwash with antiplaque, antibacterial, anti-gingivitis and anti-microbial properties and ingredients works well. If you want to prevent advanced gum diseases, mouthwash rich in chlorhexidine can be used. For anesthetizing the dentist and teeth nerves, potassium citrate and nitrate are needed. The other three ingredients in the lists strengthen teeth and prevent irritants from penetrating the dentin. 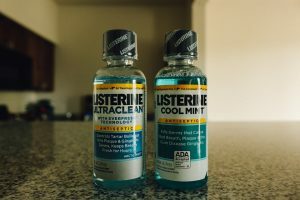 If you have tartar buildup and gum disease, causing the bacteria to inflame the gums, it’s time to choose a mouthwash that fights cavity and plaque. Tartar is a mineralized plaque and it can be a real problem if you do not address it in the early stages. The entire range of mouthwashes can be really confusing for new users. However, adults of all ages would benefit from using these. It is vital to find the right mouth wash for your needs. Use of mouthwashes for boosting oral hygiene and manage oral conditions is gaining popularity. Recent UK Adult Dental Health Survey indicates mouthwashes are commonly used by young adults. Adults of different ages also benefit from these. Mouthwashes can be categorized under three key types: plaque inhibiting, antiseptic and preventive. 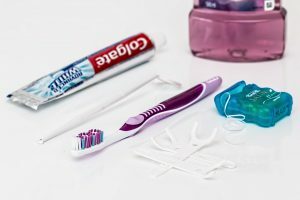 As most offer so many benefits that overlap, it’s important to remember that choosing the best mouth wash for your needs is all about knowing what your dental requirements are. Regardless of the primary purpose and added benefits of mouth wash, they appear to complement oral hygiene measures and provide users a feeling of dental freshness. Besides regular brushing and the use of fluoride-containing toothpaste, mouth wash complements interdental cleansing. Chlorhexidine rich mouth wash has a concentration of =0.2 percent. It is generally prescribed by dentists for oral and dental care. This has been considered a gold standard as far as oral antiseptic mouthwashes go. It eliminates fungi, spores, and bacteria. The top benefit is obtained through the use of mouthwashes as a short term measure or alternative to oral hygiene procedures. It’s generally used when surgical site bacterial load cannot be reduced by other measures or brushing is hard. This could be after dental surgery and following suture placement. For this reason, these mouthwashes are often prescribed before or after surgery. Chlorhexidine mouthwashes are also used to cure mucosal and oral ulcerous conditions and prevent additional infection, which can delay healing. As far as oral care goes, this mouth wash can also be used for those with functional disabilities. This can be used to manage severe halitosis linked with extensive sulfur-releasing bacteria on the dorsal surface of the tongue’s third posterior. Chlorhexidine linked mouthwashes have applications such as use in preventing pneumonia associated with being in a ventilator or life-threatening complications for patients in long term intubation. These mouthwashes are prescribed in 10 to 15 ml amounts measured in the mouth wash bottle cap, for a duration of thirty seconds. This mouth wash is used twice a day for two weeks to one month at a maximum. A common side-effect of using this type of mouth wash includes staining of teeth and brown discoloration. Oral appliances like dentures also change colors. There is also increased formation of calculus or tartar and temporary dysgeusia or alteration of taste. This mouth wash can also trigger oral dryness and burning of the oral mucosa. Using 0.12 percent type chlorhexidine mouthwashes causes fewer side effects, though these come with many additional agents like quaternary ammonium compound cetylpyridinium chloride. Formed through the colonization of bacteria, the plaque is essentially a biofilm covering teeth. Plaque eliminating mouthwashes range across antimicrobials like cetylpyridinium chloride and agents to prevent bacteria from sticking to the surface of the tooth like amine alcohol delmopinol hydrochloride. The focus is also on essential oils like thymol, menthol, and eucalyptol with methyl salicylate. Benefits extend to preventative and aesthetic, as well as curative. This helps to control the onset and progression of gum diseases and reduces teeth decay or caries. Plaque inhibiting mouthwashes act in complex ways. Quarternary ammonium compounds are known to exert antibacterial activity and eliminate yeast formation. Amine alcohols like delmopinol hydrochloride work with tooth pellicles to inhibit production of bacteria. Pellicles are the organic film on the tooth surfaces that are clean. Essential oils capable of piercing through the plaque biofilm include bacterial cell wall disruption, precipitation of cell proteins and inhibiting bacterial enzymes. Other agents include triclosan. This is a non-ionic germ killer that acts against fungi and bacteria formation by blocking lipid synthesis. Heavy metal salts like zinc chloride inhibit the growth of dental plaque and block tartar from forming. Bacterial cell walls are prevented from forming through enzymatic action of Lysozymes. Further, Sanguinarine suppresses bacterial enzyme formation. Sodium benzoate alters plaque glycolytic potential. Finally, sodium bicarbonate neutralizes acidity in the mouth while sodium chloride loosens the debris in oral mouthparts and freshens the breath. Plaque reducing mouthwashes are perfect for routine oral hygiene maintenance. But they cannot be used as a sole means of hygiene. Recommended for routine use, these need to be taken twice a day, along with brushing and flossing. If the focus is on plaque removal and teeth don’t have caries, these mouthwashes are the best bet. These mouthwashes are intended for long term use. Plaque eliminating mouthwashes cause fewer side effects as compared to antiseptic mouthwashes. Of mouthwashes with primary preventive effect, most widely used are those rich in fluoride. 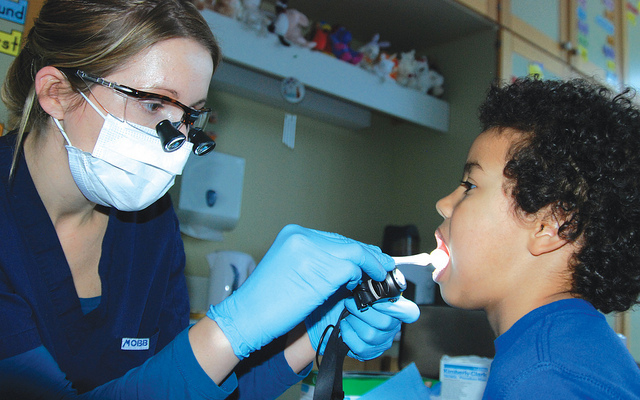 These ward off early caries lesions and prevent tooth decay. 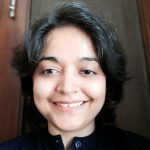 Patients at risk of developing dental caries may be prescribed this mouth wash. Those eating a lot of sugars or undergoing xerostomia or orthodontic treatment can take this mouth wash. Studies show even those with braces can effectively use fluoride mouthwashes to reduce chances of tooth decay. 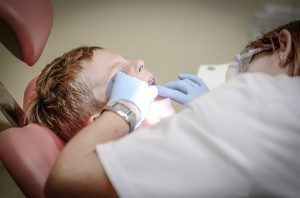 The options now there include daily fluoride rinses with 0.05 percent sodium fluoride, or weekly rinses of higher strength of around 0.2 percent sodium fluoride. This mouth wash also stems the flow of caries progression in kids. It is recommended these products are used along with regular tooth brushing. Side effects of such mouthwashes are rare and mild. Some mouthwashes may be intended for management of specific conditions like xerostomia. This is dryness of the mouth caused by drugs, autoimmune diseases or radiotherapy. Lubricating mouthwashes may be effective for treatment of such conditions. These mouthwashes may be used to manage hypersensitivity. Dentine hypersensitivity results in short, sharp pains when exposed to extreme stimuli which are either too hot or too cold. Dentine hypersensitivity mouthwashes should not be used across the long term without consulting a dentist. 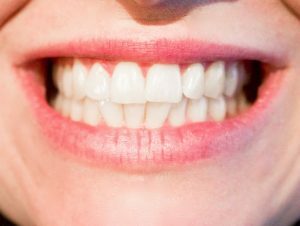 Tooth whitening mouthwashes have become popular OTC products, composed chiefly of hydrogen peroxide or carbamide peroxide. The main effect of these mouthwashes is to bleach tooth stains, much like professional tooth bleaching. Side effects range across tooth sensitivity and irritation of the gums. How to Choose the Perfect Mouth Wash? Present oral health plays an important role in deciding which mouth wash works best for you. Consider whether you suffer from xerostomia or halitosis? Perhaps you are at risk for gingivitis? Check if your teeth are in good condition and whether there is any sensitivity in the gums or teeth. Bad breath or halitosis can range across mild and severe conditions. It can even be acutely embarrassing and signal serious dental health issues. Cosmetic mouthwashes may be beneficial for those suffering from mild or temporary bad breath. However, these do not consider or cure halitosis. However, for persistently bad breath caused by excessive bacteria, oral health issues like gingivitis or gum disease, it may help to opt for antibacterial mouthwashes. Dryness of the mouth or xerostomia can be a real problem. To treat this, you need to avoid alcohol-based mouthwashes, as these can dry out the mouth still further. It increases discomfort and exacerbates symptoms. Consider alcohol-free mouthwashes if you suffer from dryness of the mouth. You can even opt for artificial saliva and special mouthwashes designed for quick relief from this condition. Gingivitis is not a minor problem; it should be taken seriously. Choose antibacterial, antimicrobial, antiplaque or antigingivitis mouthwashes. In cases where gingivitis or gum disease is imminent, stronger mouthwashes with chlorhexidine kill bacteria and restore oral health. Dentine hypersensitivity can be a real problem. There are mouthwashes that can anesthetize and strengthen the dentin and teeth to help relieve or lessen tooth hypersensitivity. For a mouth wash with dentin hypersensitivity, look for rinses with potassium nitrate and citrate to anesthetize dentin and teeth nerves. If you’re looking for mouth wash for kids, ensure that the mouth wash you choose is alcohol-free. Most types of mouthwash contain alcohol, which can be really harmful to kids. Children should also avoid mouthwashes when they are under 6 years of age, as teeth are still forming and vulnerable to fluorosis. This can damage the texture and color of teeth. Also, ensure that you keep the mouth wash out of the reach of kids, to prevent accidental ingestion. Whether you have existing oral health issues or not, using mouth wash to protect teeth and address issues is essential. Check that your mouth wash has fluoride which wards off tooth decay and strengthens the tooth enamel. Using a mouth wash that is antimicrobial, antibacterial, antiplaque or antigingivitis can help. Check for the American Dental Association Seal of Acceptance while purchasing your mouth wash for best outcomes and let those pearly whites shine. Your dentist is the best person to recommend a mouthwash for you. He/she knows what gum conditions you suffer from and the exact state of your teeth. Opt for personalized dental care and choose a mouthwash that bears the dental association stamp of approval apart from being scientifically verified for its ingredients and effects. Last, but not the least, mouthwash is a critical aspect of dental care which should never be ignored, for good healthy teeth and strong gums.